"INSIDE THE ATHLETES' MINDS, AT THE HEART OF THEIR PASSION, FROM TRAINING TO COMPETITION." 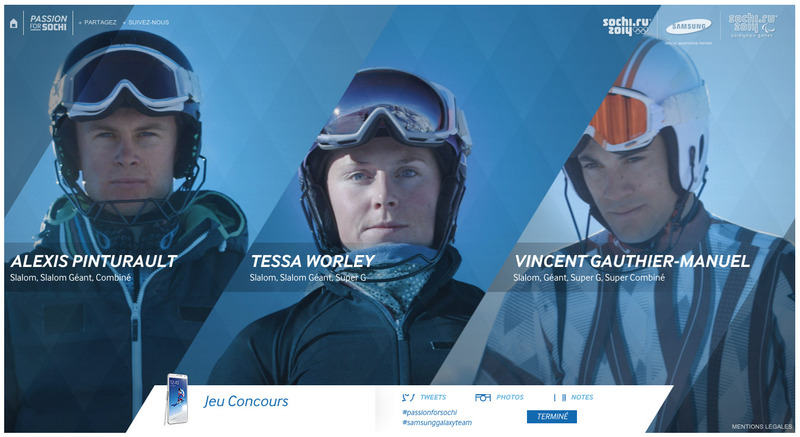 "Passion for Sochi" is an integrated digital & social platform with interactive web-documentaries about 3 young French athletes preparing for the 2014 Winter Olympics: Alexis Pinturault, Vincent Gauthier-Manuel and Tessa Worley. The users can interact with the webdocs, access additional contents and data vision, and even switch cameras during spectacular descent sequences. 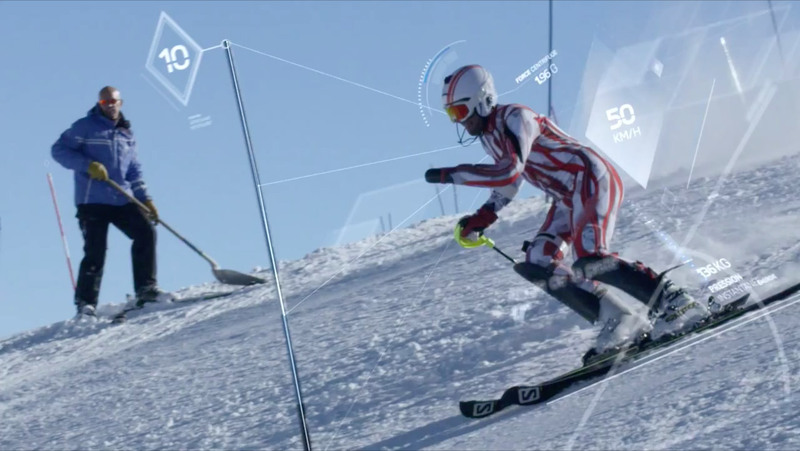 Throughout the operation, viewers can also follow the athletes in real time, thanks to Samsung connected devices that allow the athletes to post updated info and messages on a dedicated website.